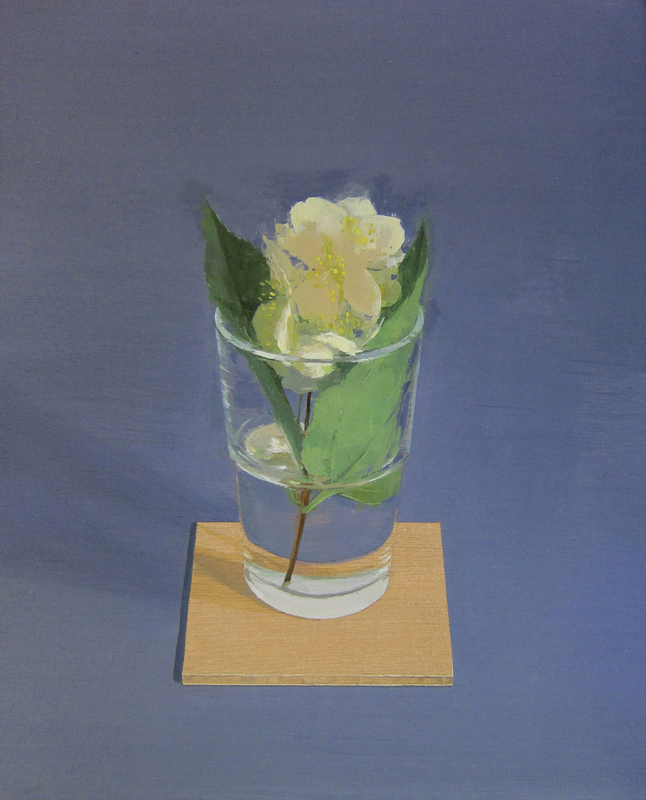 Annika Talsi singles out individual fruit and flower stems for the spotlight. 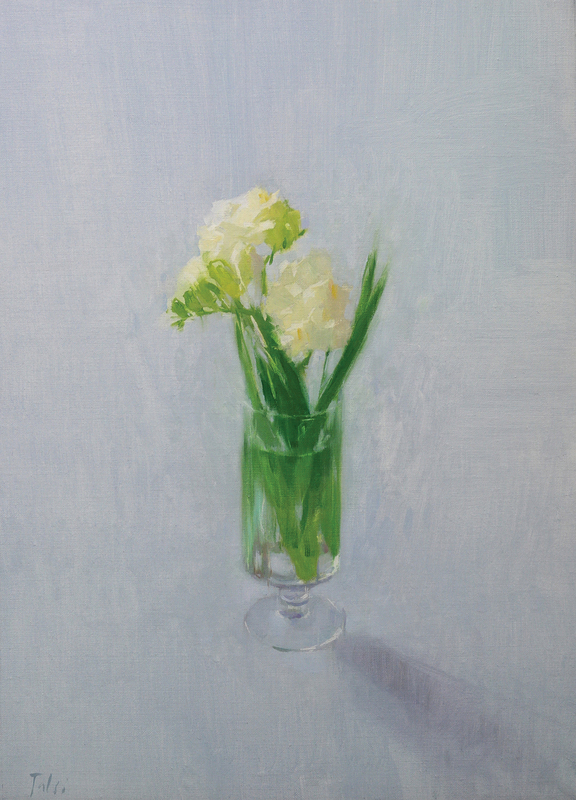 Her minimal approach to composition concentrates the focus on a specimen placed in a complimentary vessel. 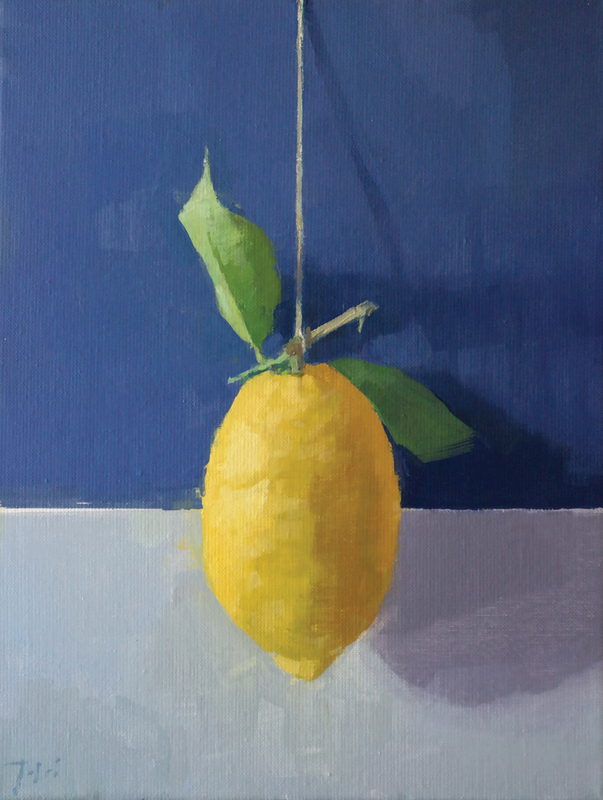 These paintings exude a calm and simplicity where the beauty of the plant and Annika’s confident mastery of paint can be appreciated. 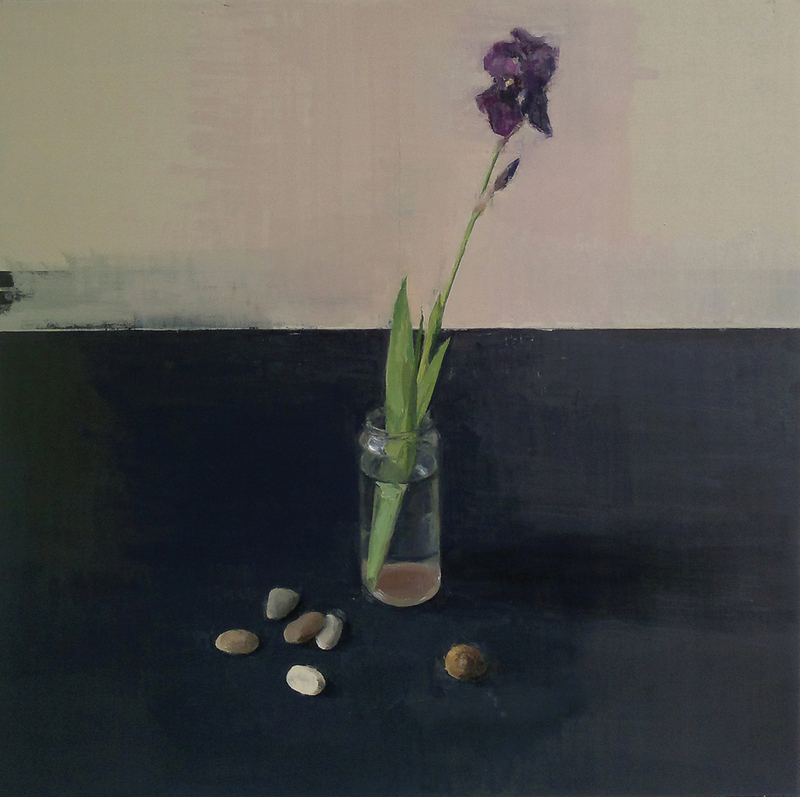 Annika Talsi was born in Malaga where she currently lives and works. 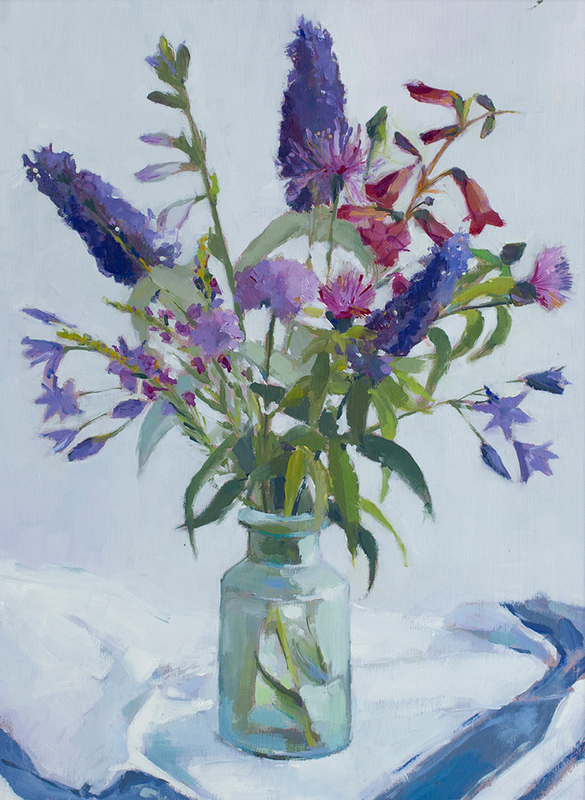 In 2008 she graduated in Fine Art from Seville. 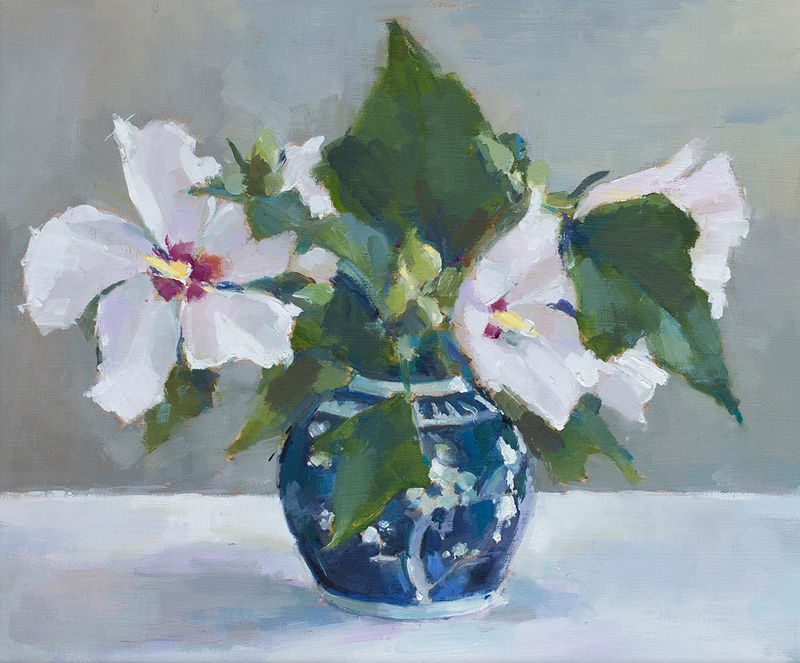 She shows her painting in Europe and in the USA. 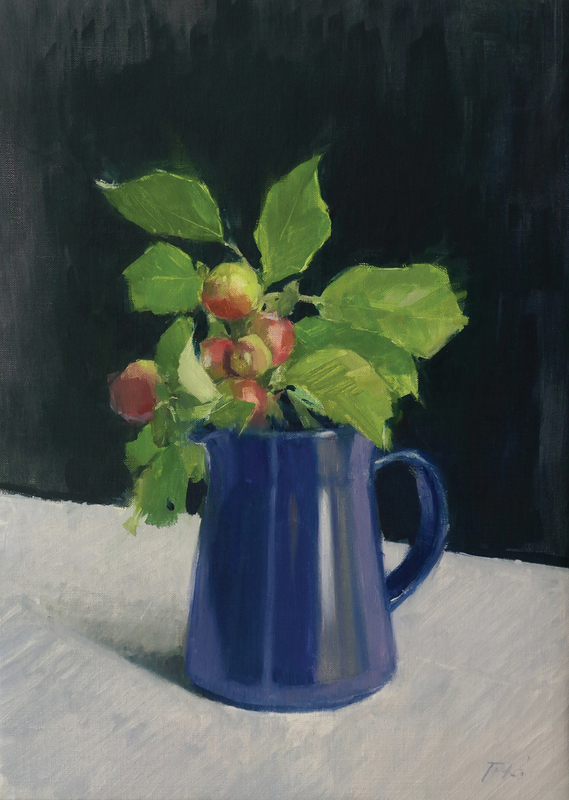 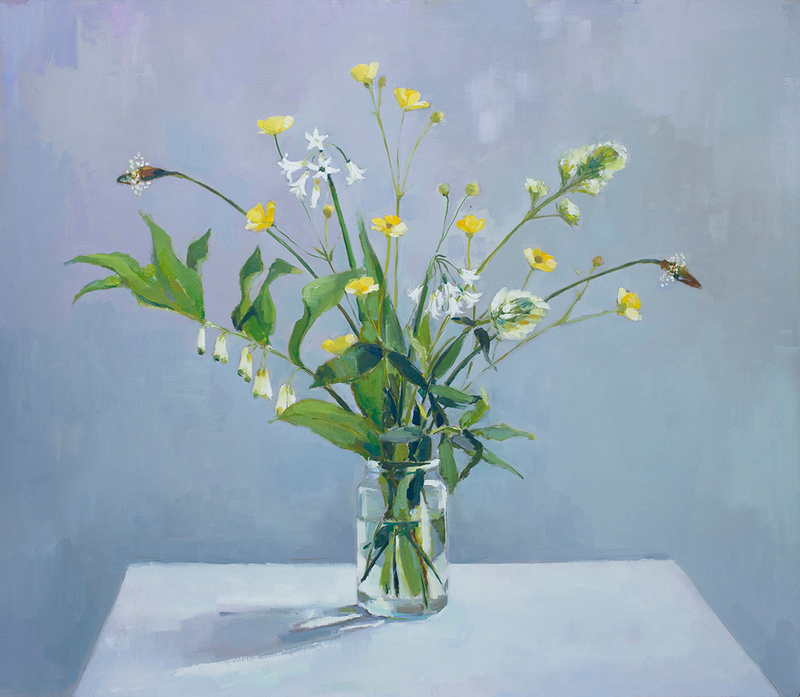 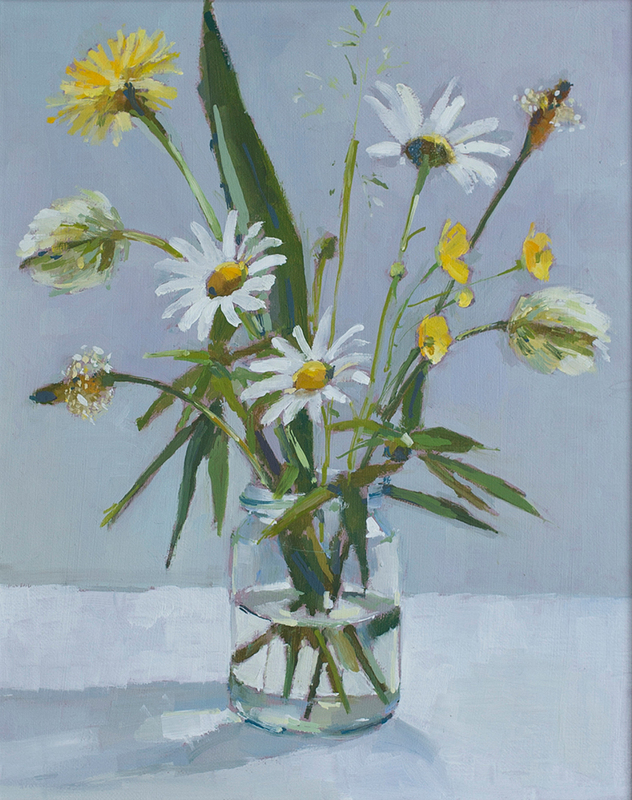 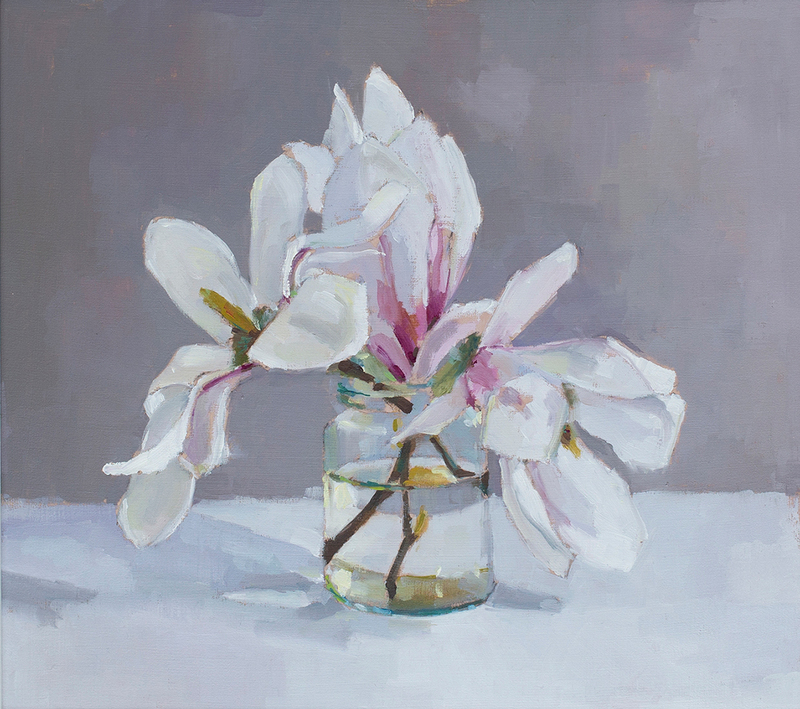 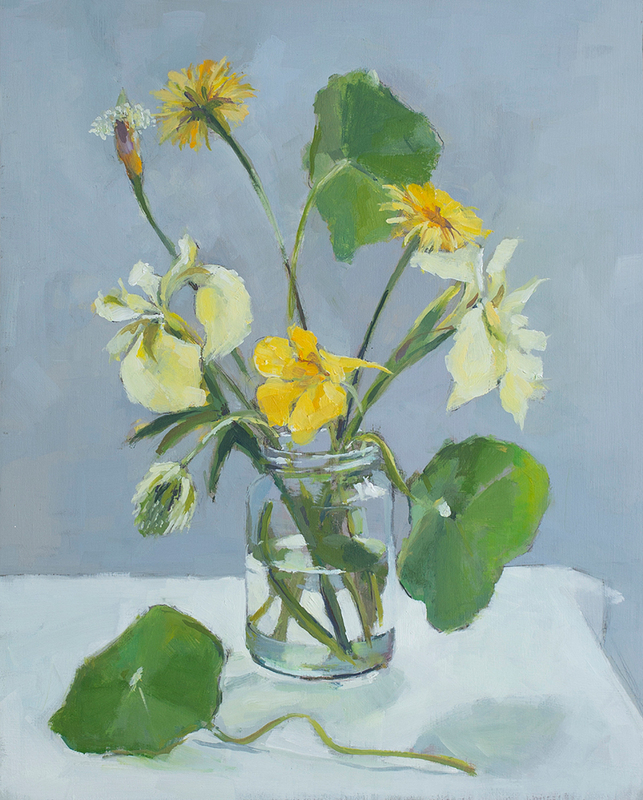 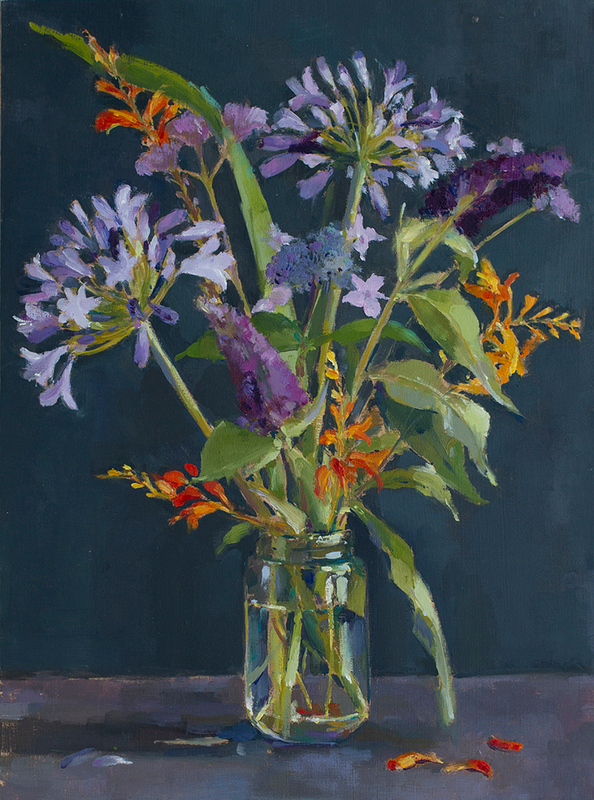 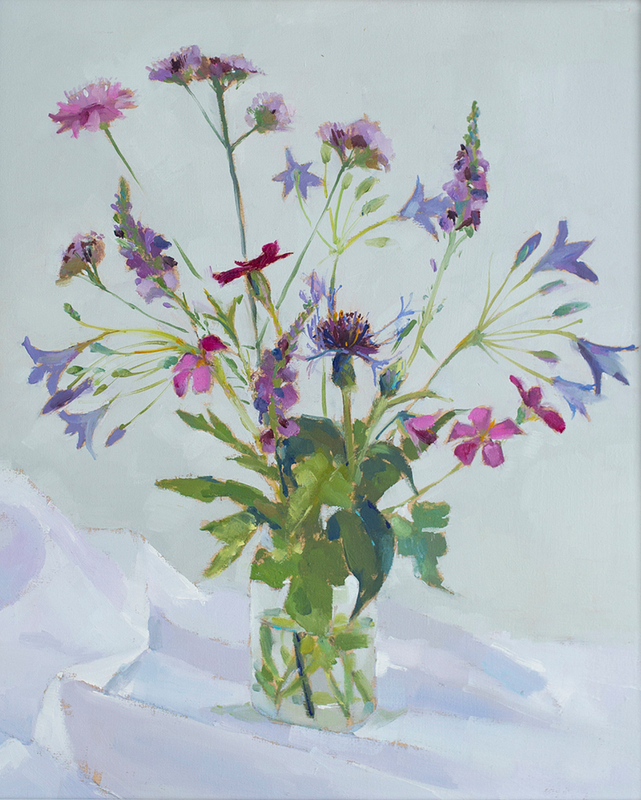 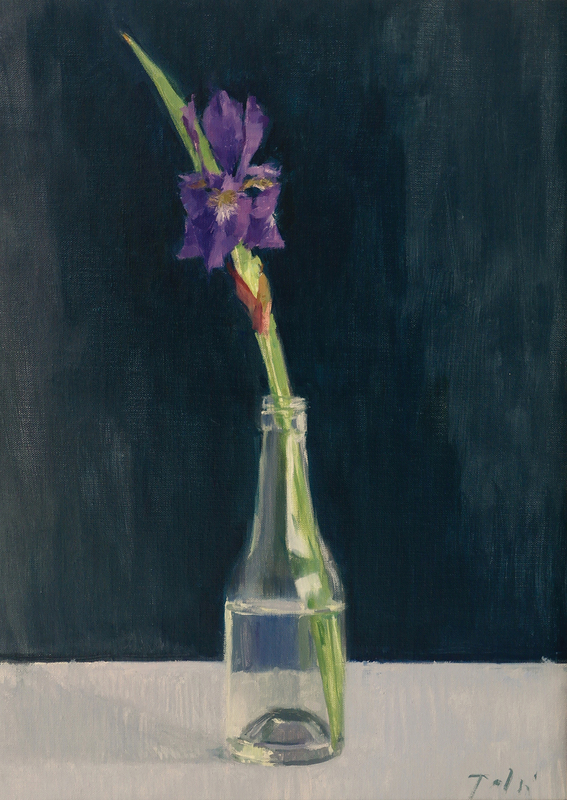 The arrangements of flowers in Annie Waring’s paintings have an informal air. 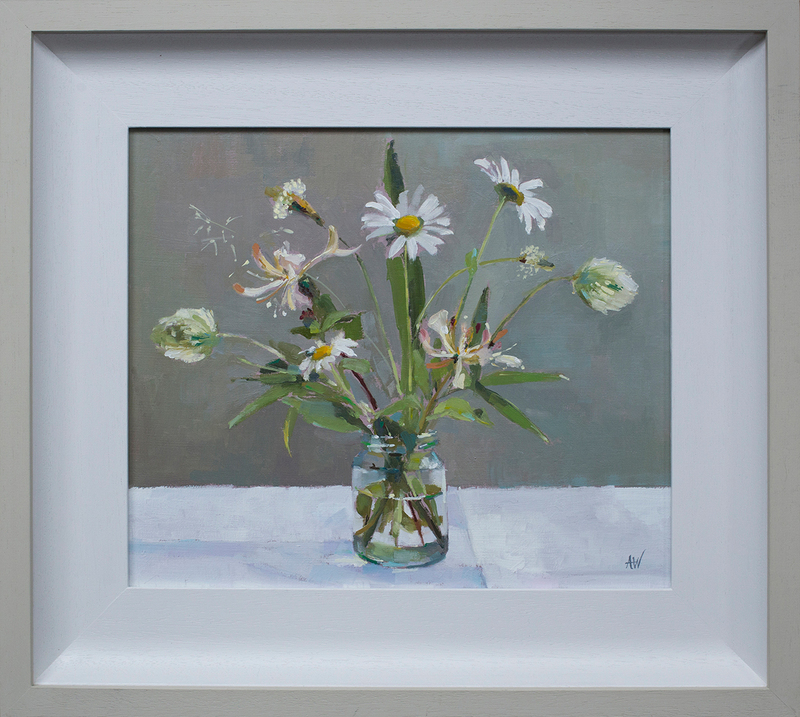 Gathered from plants flowering side by side in her garden, the flowers reflect the seasons and bring a little of the countryside into the home. 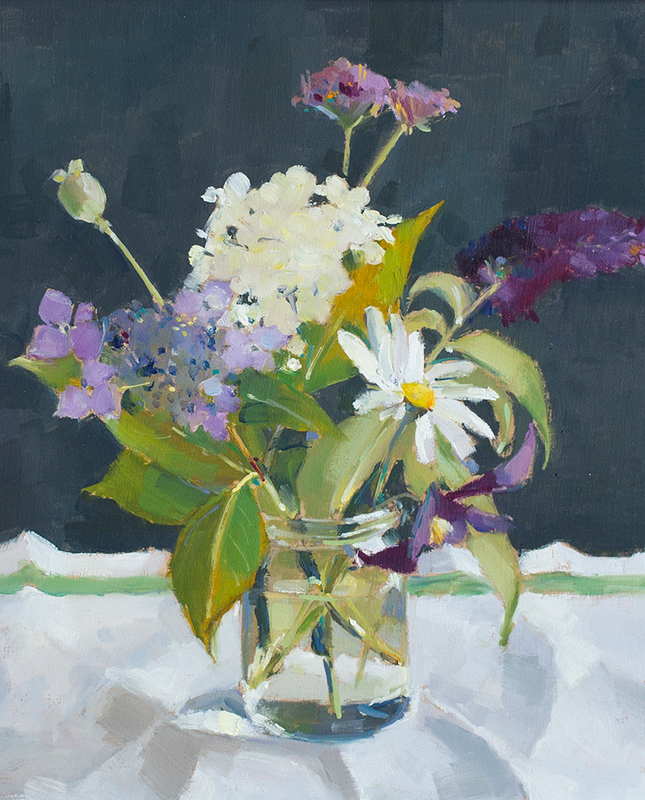 Her love of British flora is evident in her selection of blooms and in the sensitive brushstrokes perfectly describing their form. 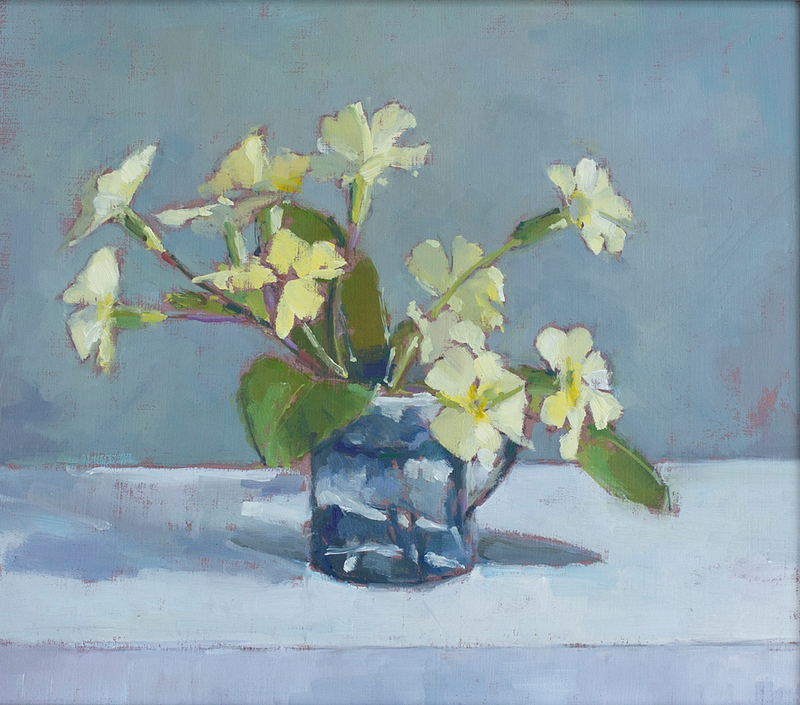 Annie Waring has returned to full time painting after a career in applied arts. 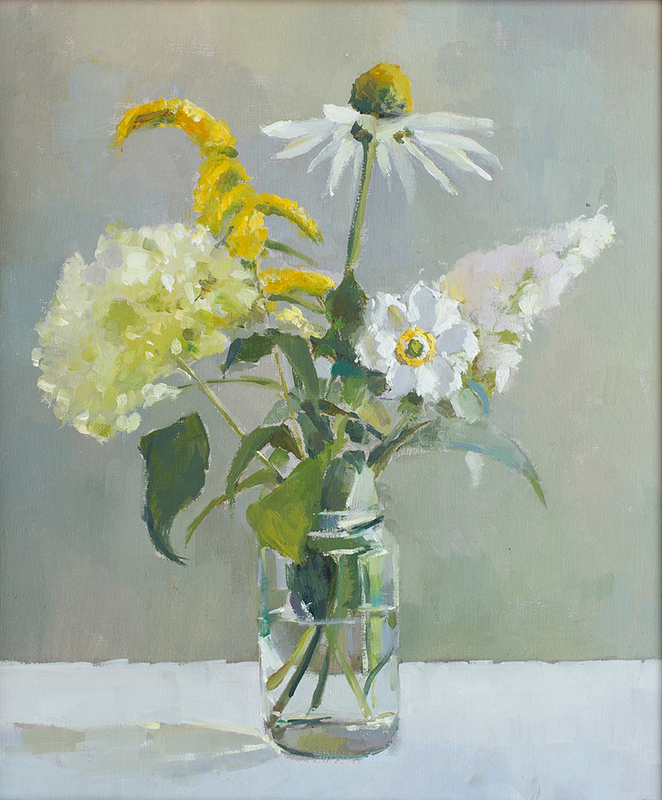 She shows in London and across the south of England.